This recipe for crushed new potatoes is an easy-to-make dish. 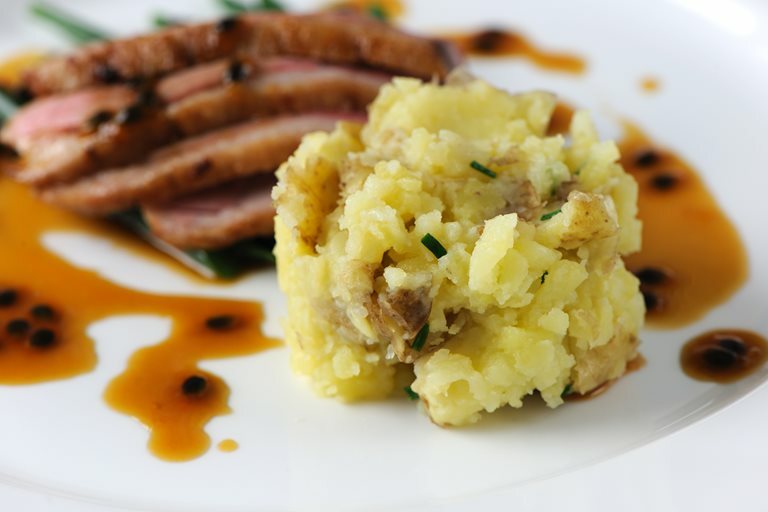 Choose a good quality new potato, such as Jersey Royals, when in season, to recreate this Marcello Tully recipe. This side dish is really flexible and works incredibly well with this duck breast with passion fruit recipe.